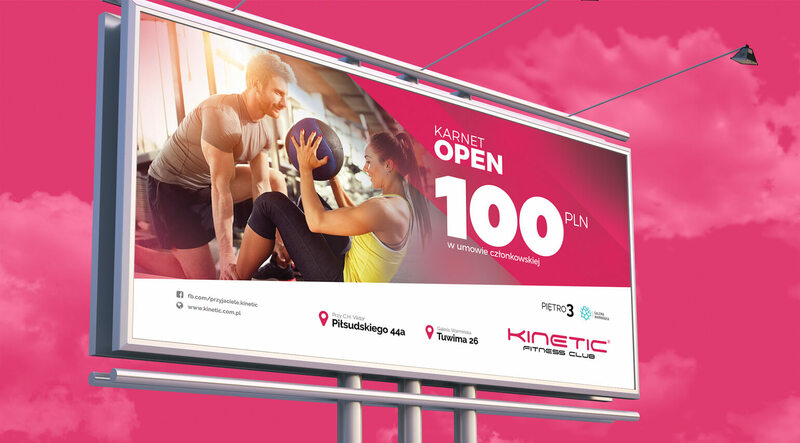 Kinetic Fitness Club is one of the largest fitness clubs in Olsztyn. We were invited to cooperate with the club in the field of graphic design of advertising materials. Our agency designed posters promoting a club offer, invitations, billboards or graphics for social media. The new graphic line has also been used on billboards. We have prepared billboard graphic designs informing about news in the club and special offer addressed to a specific audience.